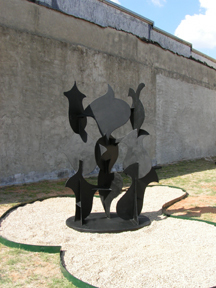 Screen Sculpture #48, welded, painted steel; 1993; 95 x 68 x 46 inches. 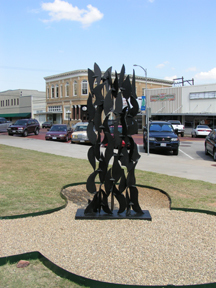 Screen Sculpture #89, welded, painted steel; 2000; 106 x 48 x 34 inches. Screen Sculpture #19, welded, painted steel; 1984; 90 x 43.5 x 15.5 inches. 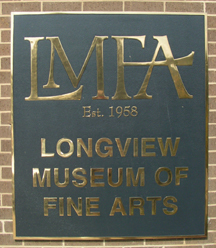 Waterfall, welded, painted steel; 1988; 98 x 30 x 30 inches. Small Screen Sculpture, welded, painted steel; 1993; 44 x 26 x 11 inches. Square Cut-out Sculpture, welded, painted steel; 2001; 19 x 16 x 6 inches. Round Mounted Sculpture, welded, painted steel; 1995; 20 x 13 x 6 inches. 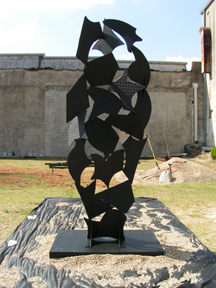 Diamond Cut-out Sculpture; welded, painted steel; 20 x 24 x 7 inches. Diamond Cut-out Sculpture; welded, painted steel; 29 x 25 x 9.5 inches.